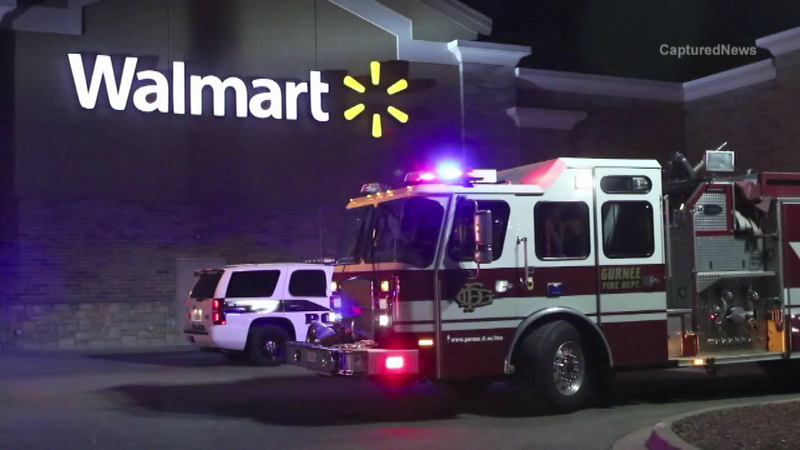 Medical teams checked out several people after they started coughing and having breathing problems while shopping at the Walmart in north suburban Gurnee. GURNEE, Ill. (WLS) -- Medical teams checked out several people after they started coughing and having breathing problems while shopping at the Walmart in north suburban Gurnee. Fire department officials said someone sprayed an unknown chemical inside the store on Monday night. Medics treated the customers at the scene.